Asset allocation and diversification are considered to be the holy grail of investing. Adding non-correlated assets to one’s portfolio is supposed to reduce volatility and hence encourage the good behavior of staying invested through market cycles. Here, we look at a simple two asset portfolio and work through some simple scenarios. When one looks historical inflation adjusted returns (link,) an investor with a 10+ year horizon should be invested in midcaps. So we pick the NIFTY MIDCAP 100 index and the 0-5 year bond total return index as the assets for our simple allocation setup. And lastly, the question of capital gains and securities transaction tax. Tax incidence on these two asset classes have varied over time. So for simplicity, we will assume an STT of 0.1% and a capital gains tax of 10% applied whenever a rebalance occurs. 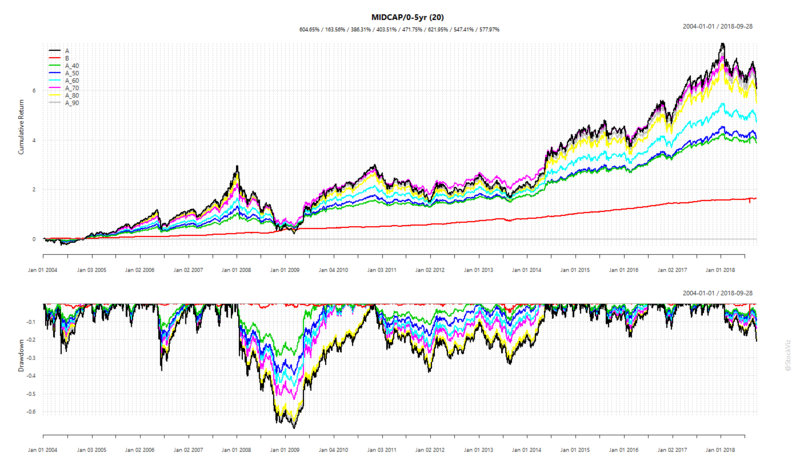 As one would expect, higher the risk taken, higher the cumulative returns. What changes are the drawdowns. 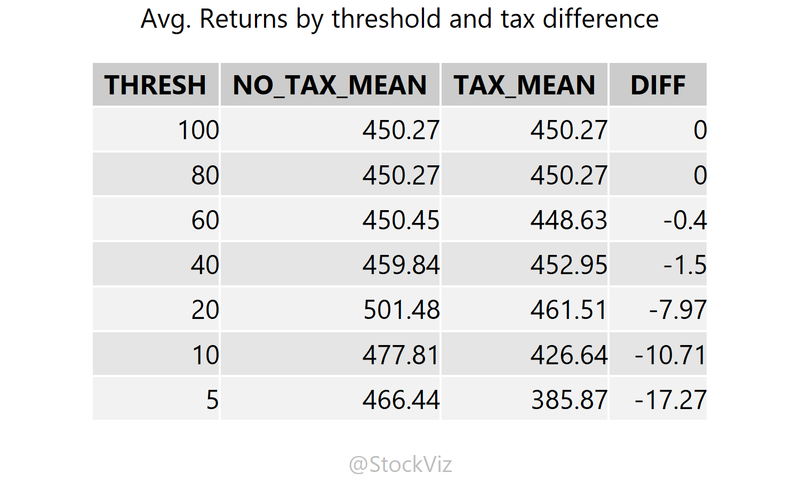 Here are the various allocations, assuming a 20% rebalance threshold and with/without the tax drag. Note the different drawdown profiles at the bottom of the chart. As intuition would suggest, the more frequently you rebalance, the higher your tax incidence. But keeping the rebalance threshold too high would allow a single asset to balloon and make the portfolio too sensitive to it. As show in this table, historically, keeping a rebalance threshold at 20% has worked out well for a 60/40 equity/bond portfolio.